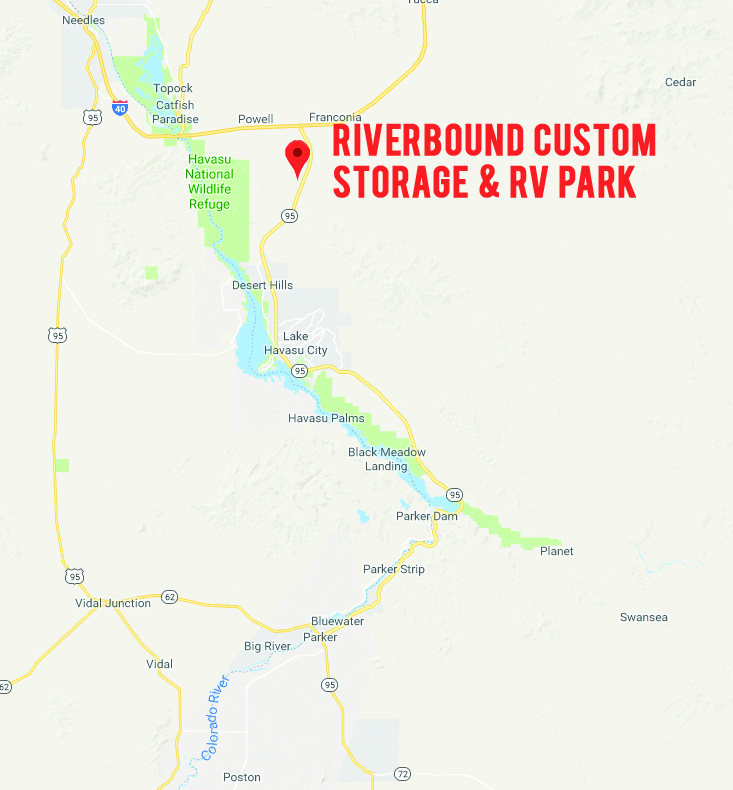 The property is located in Mohave County, Arizona 600 feet to the west of Highway 95. It is the southeast 1/4 of Section 2, Township 15N, Range 20W. The environment is desert terrain with vegetation typical for the area. The elevation ranges from 1389 feet in the south to 1335 in the north with some small hills. Drainage is from the south to the north in 4 existing natural channels. Primary access is via an existing Bureau of Land Management (BLM) road which is well maintained and open for public use. There is currently no viable secondary access to Highway 95. There is a dirt road through adjacent BLM land that may be suitable for emergency use. There is an existing water well on the property that was constructed in 1969. The well is 500 feet deep. Water level was last recorded to be at a depth of 75 feet. The groundwater existing above the water level of the Colorado River is not adjudicated so there should be an adequate supply available. There are no public sewage disposal facilities that can be utilized by the property. A septic tank and leach field system will serve the site. Soils testing and percolation tests will determine the best areas for the disposal facilities. There has been a preliminary delineation completed for the procurement of a Section 404(e) permit from the Army Corps of Engineers. The industrial site plan that was drawn for the site provides for the stream channels to be dedicated as permanent open space as a mitigation to any impacts resulting from construction. The Sonoran Desert Tortoise exists in creosote bush scrub habitat at elevations of 1000 to 3000 feet above sea level. This tortoise is not listed as threatened or endangered. The rare Mojave Desert Tortoise is found on the west side of the Colorado River and not in the vicinity of the property.